When two southern gals meet, there are a lot of proper niceties exchanged. So you can be sure when I dined at Smoky Rose for the first time, our meeting was cordial and filled with smiles and good manners. But I know what you're wondering: "Honey, how was the food?" I'll get there, right after a formal introduction. 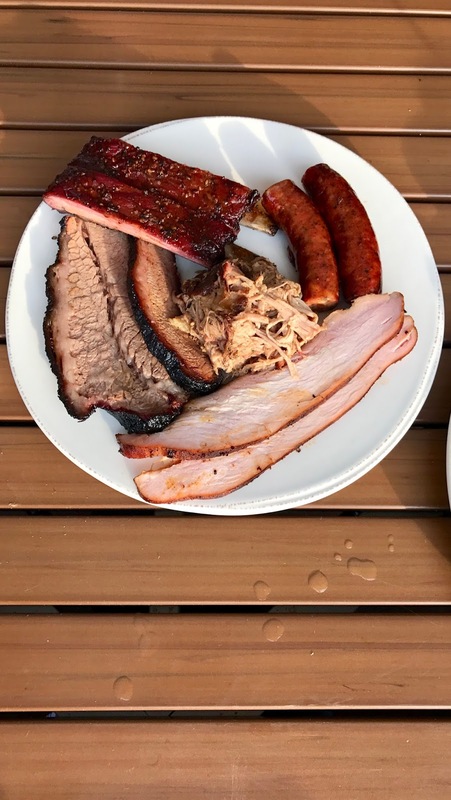 Smoky Rose is located just a hop, skip, and a jump away from the Dallas Arboretum and features expertly smoked meats and a number of chef driven, unexpected surprises from talented Executive Chef David "Spoon" Gauthier. Just opened in the winter months, the spacious patio is now primed for sunny days and warm nights. 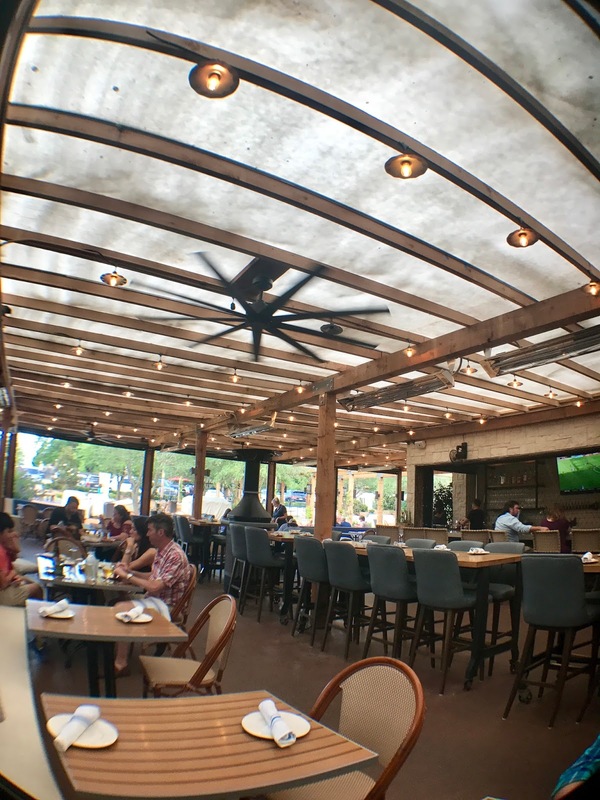 Choose from a table completely outside under the trees, or dine in their fully covered patio complete with massive fans. I think dining outside is the right call with such a pretty space. Dining inside would just feel wrong, unless the weather completely doesn't agree. The Chef at Smoky Rose is obviously passionate about his craft. He delighted us by bringing several "off menu" creations he whipped up just for our table, in addition to some of their popular menu staples. 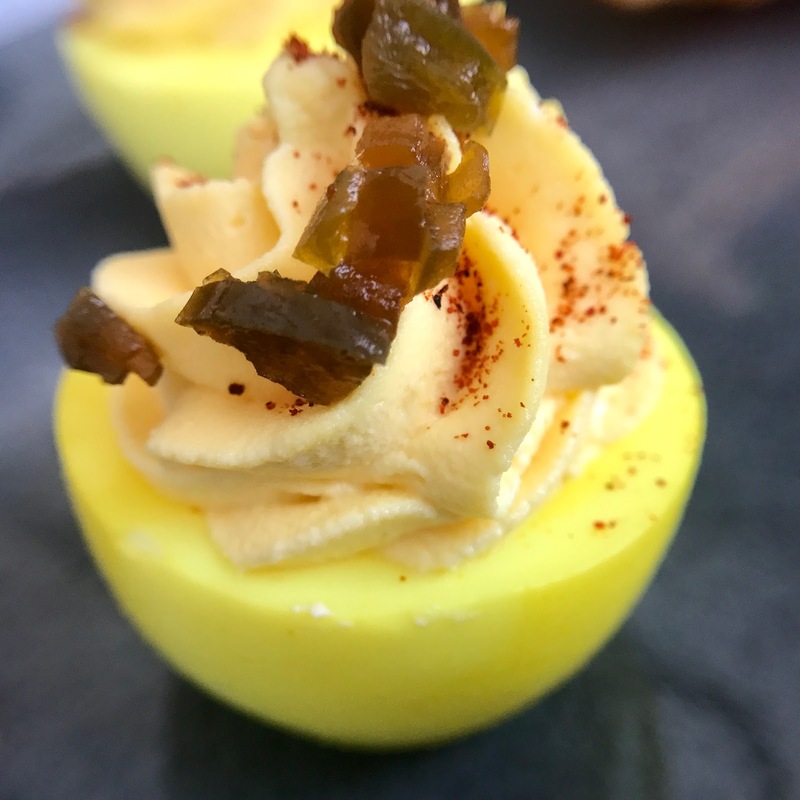 The Deviled Eggs are a sight to behold (and photograph). Neon in color, the eggs are pickled in golden beets. I believe Chef rotates how he prepares these, but they're a great starter for the table to begin the meal. 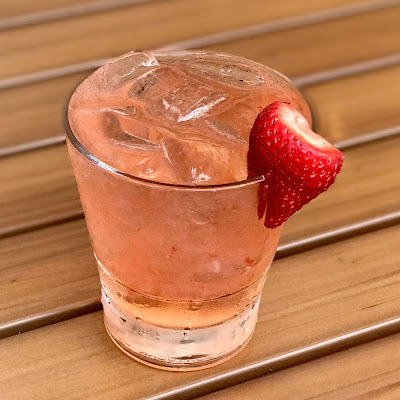 To wash down your appetizers, wet your whistle with your choice of one of their easy-drinkin' craft cocktails. 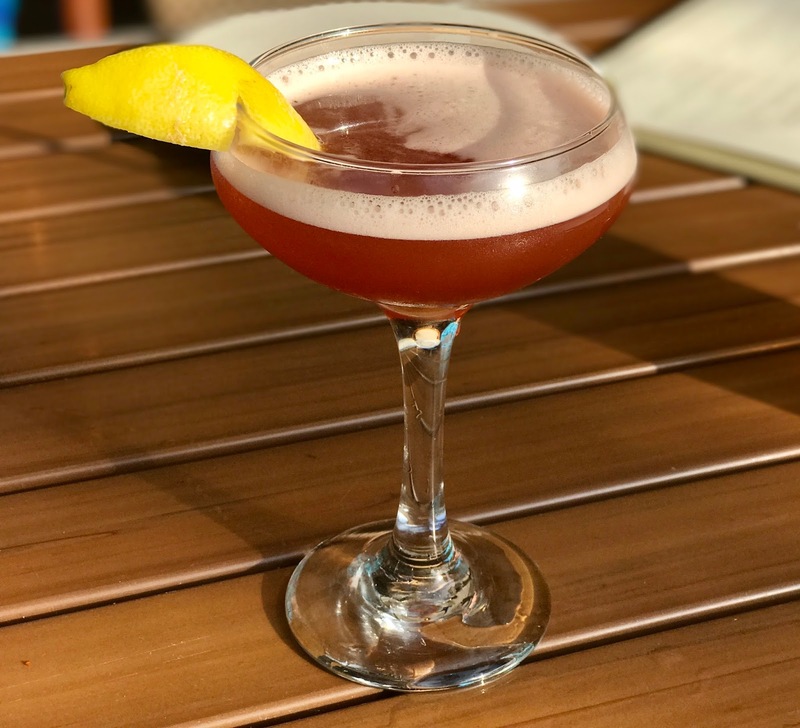 The bar program at Smoky Rose is first class, and you'll find it hard to choose which libation to start with. You truly can't go wrong. Even vegetarians can fill up their bellies at this meat-centric haven. 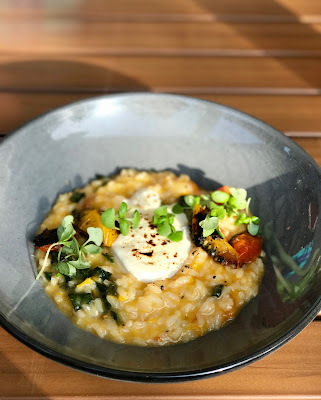 Chef treated us to an off menu Basil and Heirloom Tomato Risotto with fresh Burrata and kale (pictured below). It was creamy and delicious. Real comfort food. 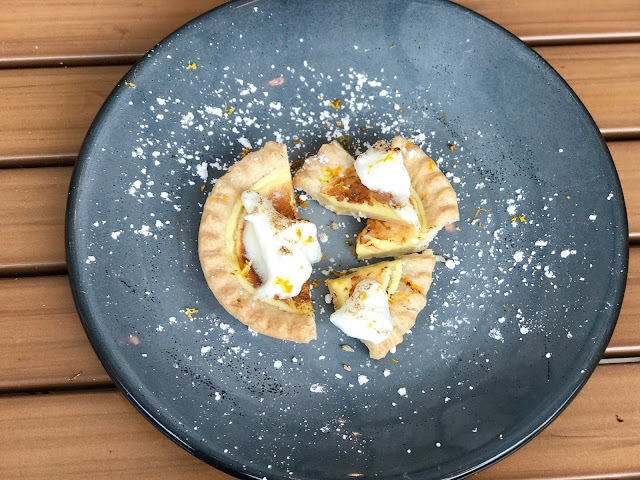 The menu features a Pickled Beet & Goat Cheese Salad, and there's also a House Salad and a number of well-thought out sides that would make for a lovely sampler platter. The Sweet Potato and Roasted Banana Mash caught my eye, or choose a tempting Jalapeño Kale Cole Slaw, Mac and Cheese, or Brussels Sprouts sans pancetta. Now, y'all, let's talk about the meat. 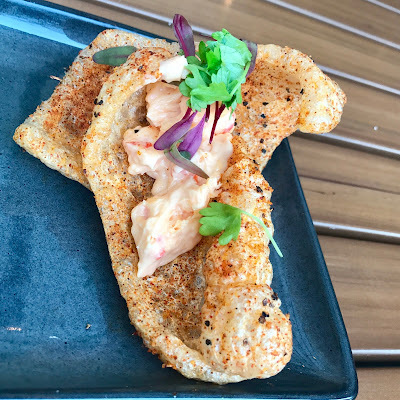 This neighborhood dining spot is centered around it's custom smokehouse. The ribs, brisket, sausage, and pulled pork we shared were all very well-executed (and didn't leave me feeling miserable later, which I thought very interesting since I normally don't feel pleasant after eating barbecue – kudos to whatever that secret is). Also of note are the sauces. The spicy sauce is zingy and addictive, and I need you to know: THEIR ALABAMA WHITE SAUCE IS THE REAL DEAL, Y'ALL! I don't speak in all caps much (my Mama said it's not good manners), but this Alabama girl has not found white sauce like I was raised on outside of Alabama. Ask for the white sauce. Just do it (*ahem* – ...please). I loved it so much I took a small vat of it home with me. So there you have it. 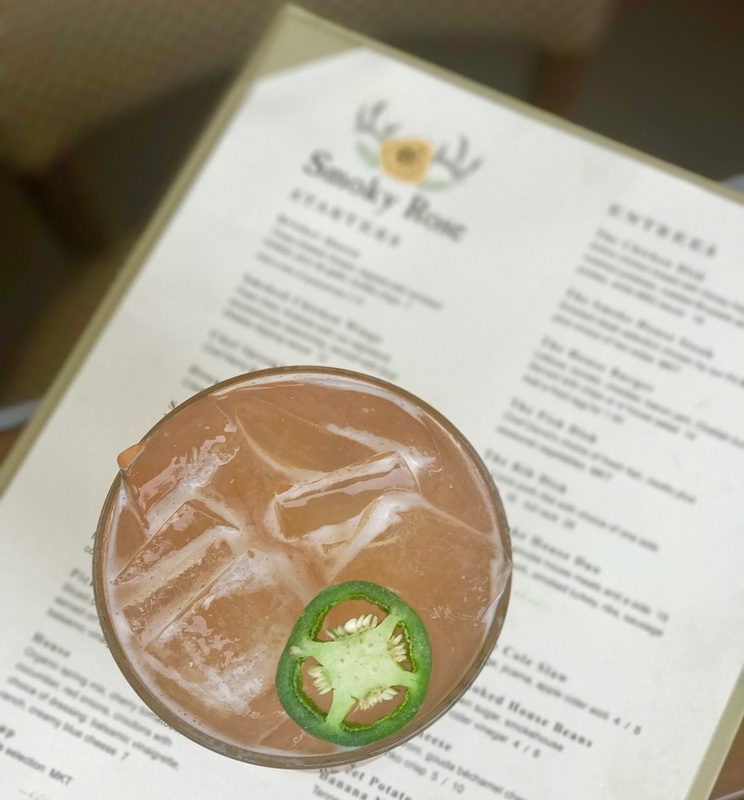 Smoky Rose is a good southern gal, driven by a talented and passionate chef. Born in Massachusetts, Chef David Gauthier graduated from the Le Cordon Bleu College of Culinary Arts in Portland, Oregon in 2002. He worked in a number of Chattanooga, Tennessee restaurants (I just knew he had some southern ties) before working as Executive Sous Chef in Sewanee at the University of the South. Lucky for us, he's made his way to Dallas as of last year for the position at Smoky Rose. 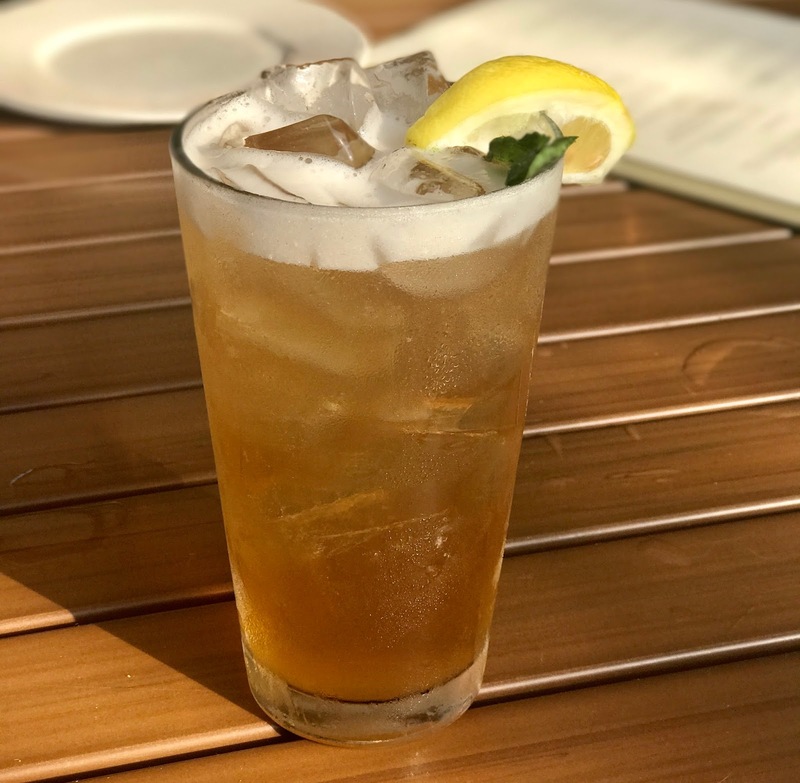 I'm pleased as punch that he made the move, because the kitchen at Smoky Rose will make you happier than a hog wallerin' in the mud in the middle of June (and that's a good thing, for all of you who weren't born in the South – bless your hearts).